Guide of the week? Feature? I know we already have the weekly leaderboard but what about a Guide of the week (Feature)? 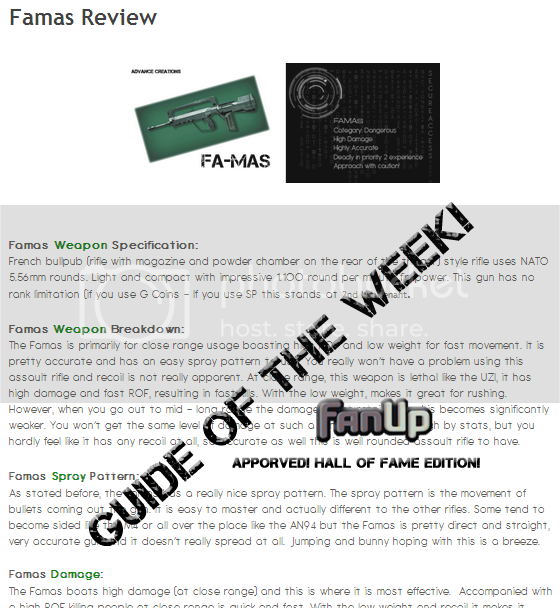 Also add a place/section for the best guides of FanUp such as Hall of (Fame)/ (Games)/ (Guides)! Hall of Fame ? Hall of Guides? Hall of Games? Christmas period: Maybe special badges or prizes for members who have been great in the year such as in creating guides, supporting other members, engaging within the community, and other community activities. Note: Should be done in conjunction with FanUp activity (in terms of FanUp member activity) at the present time. #PersonalViewPoint. NICE IDEA! when will fanup add this feature´? This is a great idea, I will work on something for future weekly contests. Thanks for the input! I have an addition to this Idea: each contests starts at Monday. I agree. I think that this could really help the community to work harder to do better guides. This is a GREAT idea. Good job Advance! I think we need a Guide(s) or #Guide of the Year... introduced as well. People can elect the guide(s) they think have been the best each year which get a feature and maybe put in a new place such as Hall of Fame/Game/Guide and a reward ofc :) ? 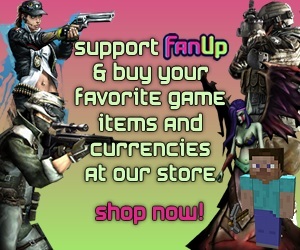 That's a nice idea but for officialize the suggestion send an email to community@fanup.com with your idea and detailed description. Alright I'll send em a message..